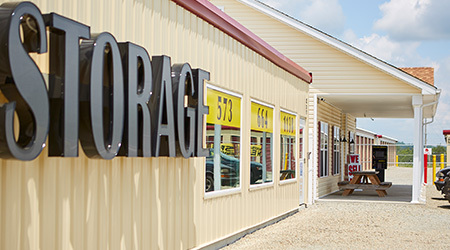 D Highway Storage offers Farmington, MO and the area communities superior self storage options at affordable prices. You’ll find great features to make your experience as easy as possible when you rent your unit with us, from our online bill pay feature to drive-up access to your unit. Whatever it is you need to store, we have a unit that can accommodate you. Our temperature-controlled units are a great way to avoid damages caused by unstable temperatures, and we offer a variety of sizes, too! Contact us today and we’ll help you get started with the perfect unit for you! Are you moving to a new home or office? Working on a renovation project? Just need to declutter? We have the options for you! We understand your need for extra space, and we have a broad range of storage units that can accommodate a variety of needs. Whether you need a temperature controlled unit to help you avoid damage to your valuables or a unit with drive-up access so that unloading your bulky or heavy items is easier, we can help. Our facility is convenient and affordable storage for our community. We understand the stress involved in keeping your belongings away from home, so we do whatever we can to maintain security on our property, from our cameras on site to our security gate that will only grant access to those who are renting with us through a unique access code. Come check it out – we’re eager to help you through your next storage project!